Watermelon is one of the most ancient cures in Chinese medicine for what has been called “Summer Heat” referring to the more severe heat the body can suffer from. Try blending the fruit of an entire melon on a hot day and drinking it. Guaranteed to make you feel a bit cooler. 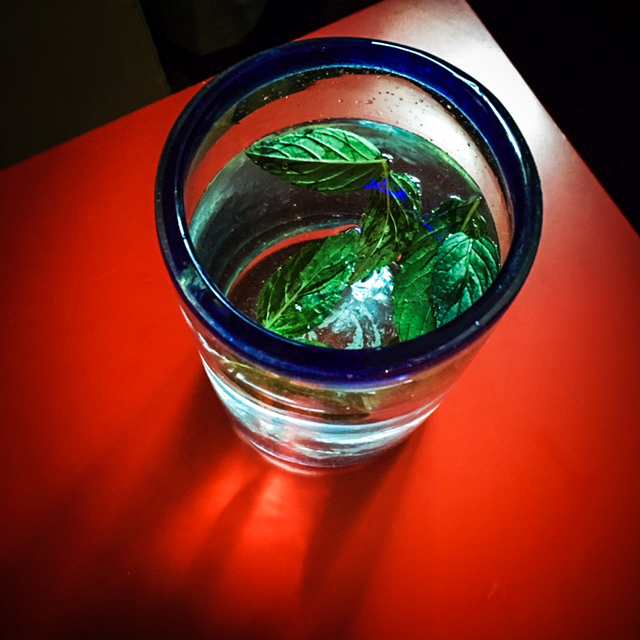 Mint is one of the more cooling herbs in the Chinese pharmacopeia. It seems a little counter intuitive but actually drinking hot mint tea in the summer time can cool you down quite a bit. The best is fresh mint leaves, but dried will do fine if you don’t have your own mint plant. You can also place a couple fresh leaves in your water and drink daily to keep you cool and tastes great too. These foods are known as “cooling foods” in Chinese nutrition theory. By eating seasonally appropriate, fresh, raw fruit and vegetables such as lettuce, tomato, and purple onion, you can beat the heat by taking advantage of nature’s summer abundance. If you feel cold, however, you should not over indulge in these foods. Coconuts are renown all over the tropics for their ability to instantly cool the body, as well as being a great source of potassium and other electrolytes that help keep your body running cool during the hottest months. Having a cool wet washcloth on the back of the neck works very well to cool your whole body. In Chinese medicine there is a point at this location that is used to alleviate heat in the body, but no needles are required for this trick. Simply place the towel on and enjoy. Green tea is another powerful ally for us all during summer. With much less caffeine than coffee, green tea can not only give you a small boost of energy during the day, but the bitter flavor “clears heat” in Chinese medicine parlance, which makes it an ideal choice in the warmer months (switch to black tea during winter time for a warming effect).